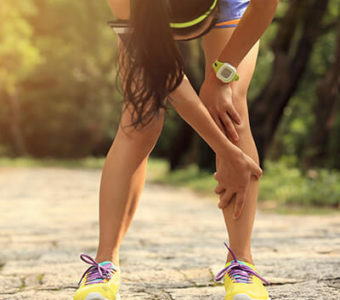 If you’ve been following our series on how to avoid injury decade-by-decade, you know that we recommended strengthening your hips to protect your knees in your 20s, working your core to safeguard your lower back in your 30s, focusing on your feet in your 40s by toning your legs, and stretching your back to spare your shoulders in your 50s. Now we enter the golden years: Your 60s, 70s, 80s and well beyond. 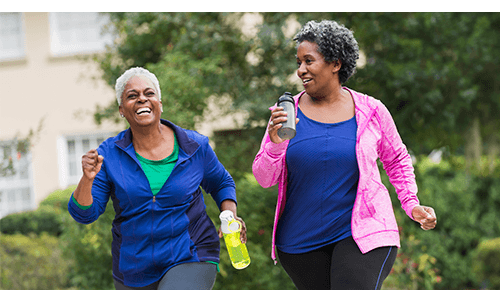 Tim Varughese, physical therapist and manager of clinical services at OhioHealth McConnell Heart Health Center, says the best advice for avoiding injury in older adults is the same advice for protecting your long-term health and fitness: Take a walk! “You experience a decrease in muscle mass as you age, but for most people that’s because you’re not continuing to do the things you used to,” says Varughese. For people in their 60s and older, Varughese recommends establishing a routine of walking 2 miles a day, every day. And if you can’t walk 2 miles, start where you are and work your way up. “If you can establish that routine in your early 60s, you’re much more likely to maintain muscle tone and cardiovascular health, but the big health benefit downstream is that you’ll have better balance, better reaction time and less chance of a fall,” he says.